I honestly don’t remember if I’ve used the derivative joke before, but it’s likely. Feel free to refresh my memory. TESSIE: Sure, we can make something for you. Arts also does crafts. 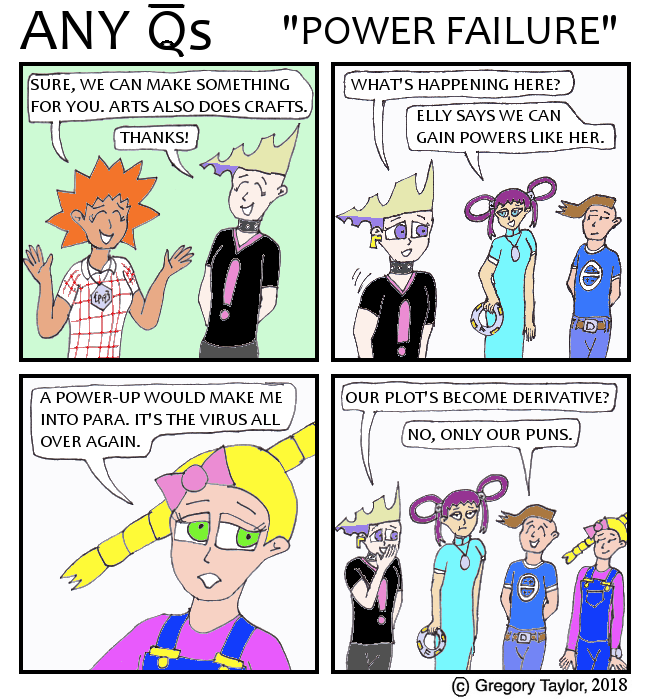 QELLY: Elly says we can gain powers like her. QLYN: A power-up would make me into Para. It’s the virus all over again. GAMMA: Our plot’s become derivative? ARCTAN: No, only our puns.